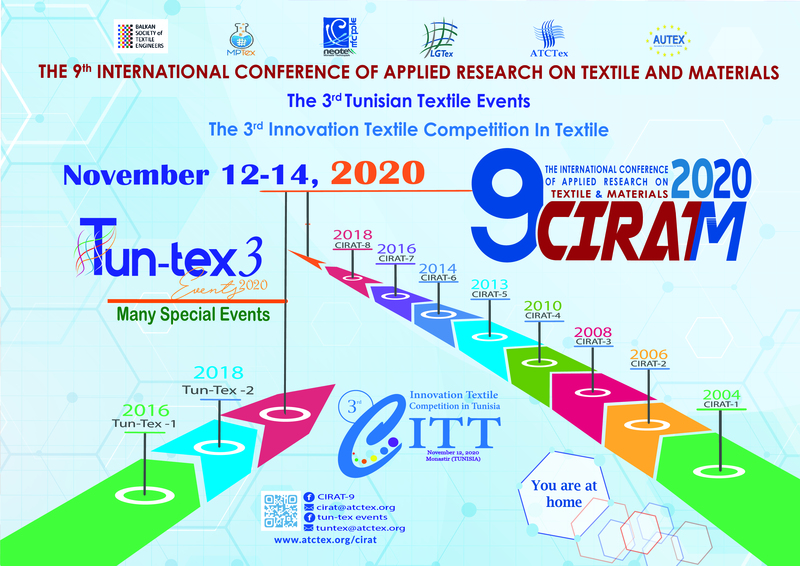 CIRAT is a scientific meeting organised by the Textile Engineering Laboratory every two years. This conference provides an international open forum for researchers from academic and industrial fields to present their original work and exchange ideas and information. CIRAT will bring worldwide researchers and practitioners to share and discuss the latest scientific concepts and technological developments in textiles. It also intends to promote sharing ideas and emerging technologies, as well as to foster research and development collaborations amongst academia, research institutions & relevant industries. The main objective of this international event is to promote innovation and creativity among researchers working in Textile research and development.